Founding fathers of the New Romantics and pioneers of the 80s sound Visage, return with a new album “Orchestral” in Winter 2014. In March 2014 Visage were asked to perform at the closing ceremony of the World Ski Jumping Championships in Prague. Sensing an opportunity for grandeur, Steve Strange – the illustrious leader of Visage – joined forces with the Czech Synthosymphonica Orchestra. Headed by Armin Effenberger, their speciality is mixing classical music arrangements and full orchestras with classic synthesizer sounds. 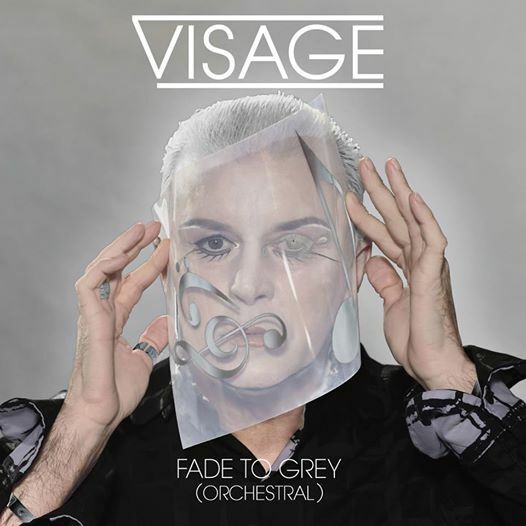 On a cold night in March with snow blowing Visage performed a ten song set of their hits with the full orchestra. The orchestral album features a expansive orchestral arrangements of their classic tracks which have been enhanced with strings, woodwinds and brass throughout. As well as the Orchestral arrangements performed with Synthosymphonica Orchestra other new arrangements were also recorded with the Prague Philharmonic Orchestra.